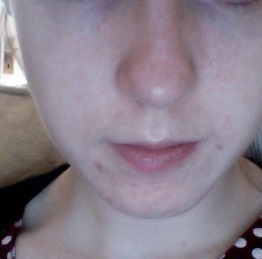 I had moderate acne as a teenager and was eventually treated with roaccutane when antibiotics and topicals failed- this cleared my skin for a few years but spots started to appear again about a month after stopping Yasmin birth control (or at least I put this down as the most likely cause). 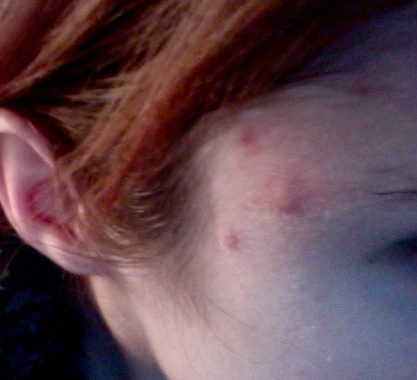 It's like a weird combination of mild and severe acne?? I'm trying to avoid all-over BP and retinoids when my skin is already dry and red, any suggestions? Am I going down the right path with dianette? You seem to have 2 types of acne. Those red bumps on your forehead could be a reaction to your shampoo. The ones on your chin might be a reaction to sulfates in your toothpaste and/or mouthwash or foods, or it could be hormonal. Try to find a sulfate-free shampoo and toothpaste to see if that helps. I've never heard of shampoo or toothpaste causing spots before? (it's definitely acne not an allergic reaction) it's not like I actually put shampoo or mouthwash on my skin so I'm doubtful...but thank you for your ideas. Btw what looks like acne on my chin in that photo is actually just old red marks, so at the moment I have no active acne other than those two big spots in photo 3. I see plenty of people with small pimples all over their faces but mine seems different in that it's only a couple at a time but really bad ones! If anyone else has experienced this please let me know!